Intellectual property in ecommerce is perhaps the most neglected, yet the highest value-bearing component of ecommerce. That is either because it is less understood, or because the important connections to ecommerce are not apparent. There is no universally acceptable formal definition of intellectual property (IP). I like to view intellectual property in the way the World Intellectual Property Organization (WIPO) describes it. How Is Intellectual Property Important to Ecommerce? Intellectual property law protects against disclosure of trade secrets and, as a result, against unfair competition. 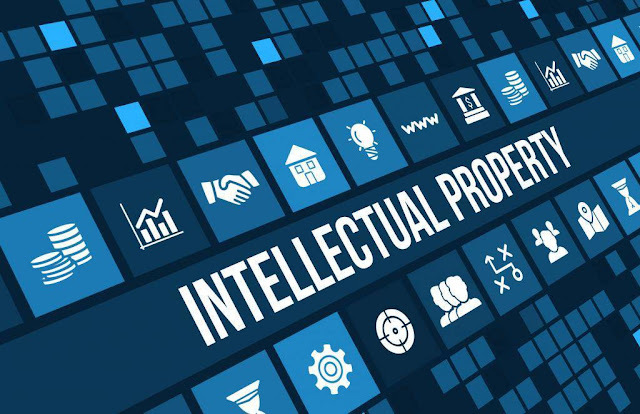 That makes intellectual property an asset that is perhaps worth more than any tangible asset. This can be seen most clearly in relation to technology and the digital economy. Without intellectual property practices and laws, hard work is stolen and spread around the globe without paying the creator for their labor. Who, then, wants to create new works? Technical security is necessary to deter the less proficient thief and intellectual property laws are required to deal with the more serious criminal. A common mistake is disclosing intellectual property prior to filing for protection of that property. Likewise, in many countries making trade secrets public automatically dissolves any protection. Your ecommerce website contains product descriptions and images. Do you have the legal right to publish those descriptions and images? What about all those logos, videos, photos, clip art, icons, sound effects, and background music? They sure make your site a more engaging. But, once again, do you have the right to be using them? I know of many small ecommerce entrepreneurs who disregard intellectual property issues using the dictum, “whatever is available on the Internet is free for use!” The fact that they seem to get away with such IP violations makes the rest of us wonder whether we are spending our money right. is covered under fair use. Do you sell branded goods? Are you sure that the goods are authentic? Is it possible that you are selling fakes? You might feel that this should be the headache of your supplier. But as a retailer, you too can fall into trouble if you do not take adequate measures to ensure that you are selling goods that the supplier was authorized to supply in the first place. An important administrative task for an ecommerce business is to take stock of your intellectual assets. Although these are intangible assets, they are often more valuable than the tangibles. An intellectual property inventory will consist of any designs, sketches, artwork, website designs, photos, music, scripts, unique alterations of your product, new processes developed for your services, and the like. You can start by listing any symbols, names, mottoes, or slogans you use to identify your business. In some territories, you do not have to register to enjoy protection, but it is advised to register whenever you can. Next, you should take inventory of your trade secrets. Whatever information contains commercial value, is not typically known, and the average Joe cannot just figure it out on his own, is a trade secret. You might not even be able to place a value on it, but you realize it has commercial value. Think customer lists, strategies, designs for technical improvement, and the like. Lastly, you should document all contracts that could have any sort of impact on your intellectual property you have listed above. What we are talking about are contracts with design companies (think logos and websites), non-disclosure agreements, and agreements signed with any employees you might have. Do not forget those pesky licenses on the materials and programs you used to build your own intellectual property. Locate a lawyer who knows something about intellectual property and ask them about an intellectual property audit. If you ever plan to sell your ecommerce business, you are going to need to prove that the intellectual property is protected. For that, you will need to have done an intellectual property audit at least once. If you want to take on investors at any point, intellectual property security could become a deal breaker. Take it seriously now.